My kids’ cooking classes aim to teach children to prepare a wholesome, nutritious meal which they love to eat and can reproduce easily at home. I hold my classes in my home in a beautiful setting which spills out into the garden where the children and I have fun looking at and identifying the various herbs and vegetable I grow. I take the kids into my cook’s garden to identify (and pick) organic veggies and herbs, weather (and season) permitting. Classes are $65 per child. When attending a class, please wear closed in shoes. 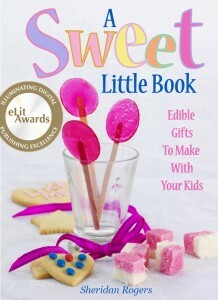 All ingredients are provided, plus recipes to take home. The children eat all the food we have cooked. Date doesn’t suit? Please contact me for further dates. I’m sorry, but children with allergies (which require an Epi Pen) or diabetes can not be catered for unless accompanied by a parent or adult. Whilst I undertake to take the utmost care of children during my classes, I do not accept responsibility for any injury to a child or children which they incur during the cooking class. A deposit of $25 must be paid seven days prior to class or booking will not be held. 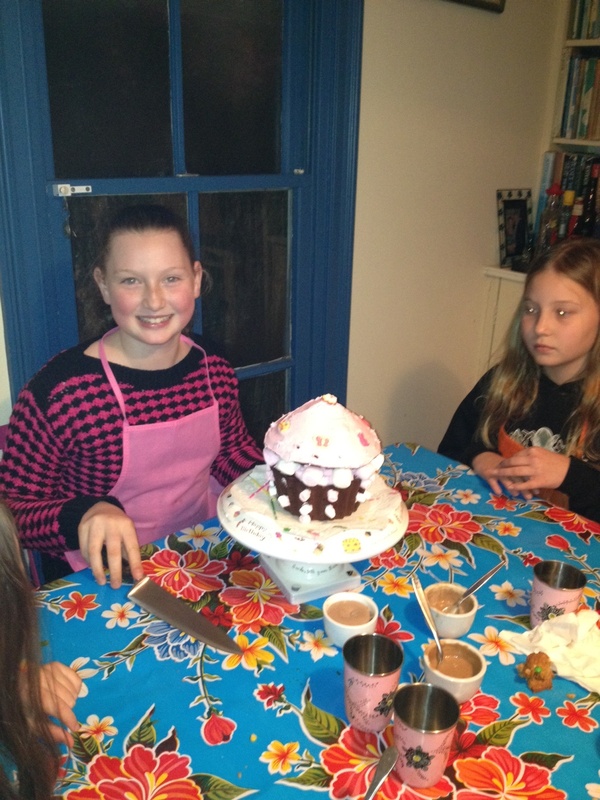 We cook savoury dishes kids love to eat and can cook at home themselves – and we also indulge in a few wicked things! Hygiene, nutrition – and loads of laughs – are all on the agenda. The children eat the food we have prepared at the end of the class and take home whatever is left over. Classes are held at my private residence in Cammeray, North Sydney, during School Holiday periods. The classes are aimed at children from the ages of 8-12, and for teenagers aged 12 – 16. Class size is a minimum of 6 and maximum of 8. If parents wish to join the class, there is a charge of $40 – please contact me to find out details. In my classes we don’t attempt to do celebrity-chef restaurant-style food, though a couple of my students have done so well, they were in the finals for Junior MasterChef. The classes are a mix of demonstration and hands-on. 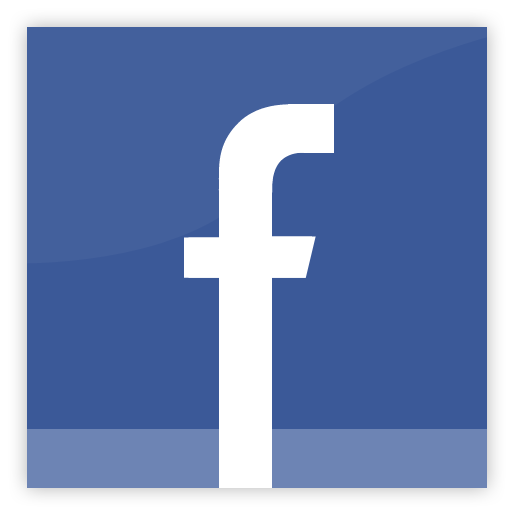 Check out my Mini Chef Facebook page here. Check out this video clip from Channel 7’s Sydney Weekender. 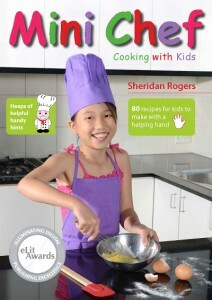 Brightly coloured Mini Chef Aprons & Hats are available for sale for $12 at the classes. 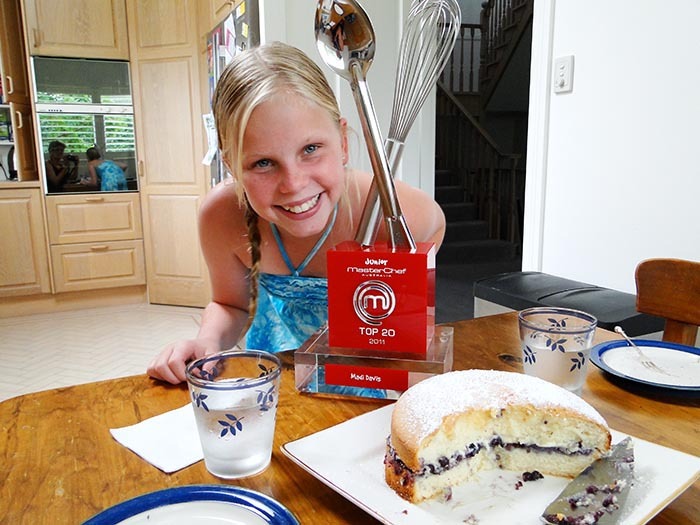 Madi, one of my students, proudly displaying her Top 20 Junior MasterChef trophy.